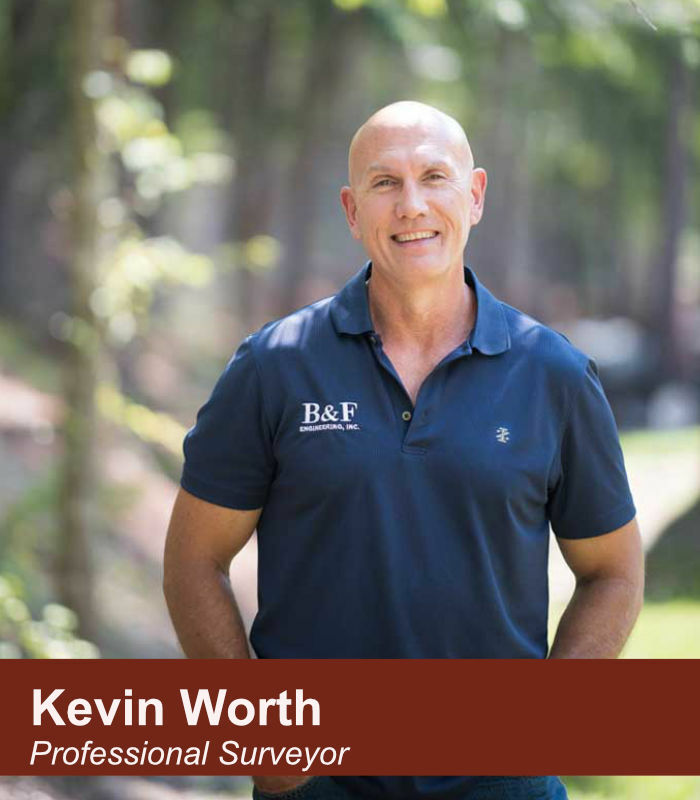 Kevin is an Arkansas Registered Survey Intern with B&F since 1995. His education includes Electronic Technician – US Navy Certified 1982, Nuclear Power Operator – US Navy Certified 1984, and Consumer Electronics, N.R.I. – Certificate 1994. He is a member of the Arkansas Society of Professional Surveyors. Kevin serves as an Engineering Technician and Survey Party Chief. With his electronic background, he has a thorough understanding of the electronic surveying equipment (i.e. total stations, radios, data collectors, etc.). Mr. Worth has had 40 hours of formal GPS training at the Trimble office located at Woodlands, Texas, and he has completed 40 hours Health and Safety Course.